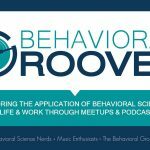 Motivation Vacation – Work Productivity on the Rise before the Fourth of July – Behavior Matters! The Fourth of July, Independence Day holiday is almost upon us and many Americans will enjoy some time off from work: spending time with their families, having a picnic in the park, or simply enjoying a local fireworks show. Have you ever noticed what happens to work productivity right before a holiday or a vacation? Does it increase dramatically? The motivator may be making sure projects and clients will be well taken care of while you are gone or simply wanting a guilt free holiday or vacation. I have noticed an increase in my work productivity right before I go on vacation or before a holiday. It is part of the process I go through and one I actually enjoy. What, did I just say that? Yes, I enjoy taking care of loose ends, transferring project details, and cleaning up my massive piles of papers on my desk. I love the feeling of letting go and not worrying about every little thing because I have been diligent about making sure I have a back up person in place in case something happens while I am away. Therefore, the work involved, making sure I have communicated to the right people, projects files have been shared, and worst case scenarios have been thought through is neither easy nor simple. But it is a necessary part of the vacation or holiday process. Today if you catch yourself staring at the massive piles of papers on your desk or daydreaming about the fireworks show you may see on the Fourth of July don’t be alarmed, take a deep breath and find your inner motivational muse. I double dog dare you to take the first step of clearing up the clutter in your work life in order to make way for the wave of freedom that is coming your way tomorrow.